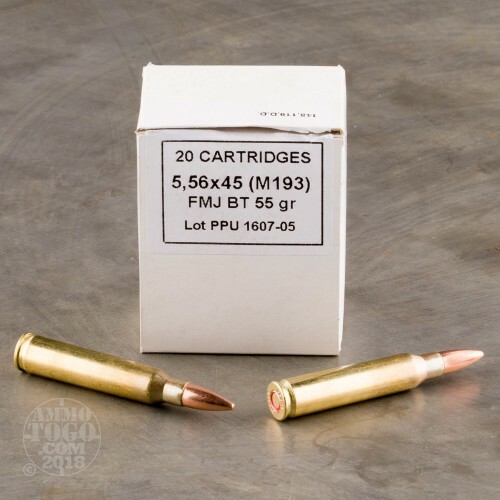 This 5.56x45 cartridge by Prvi Partizan is an M193, and accordingly features a 55 grain projectile comprised of a lead core wrapped in a gilded metal jacket. 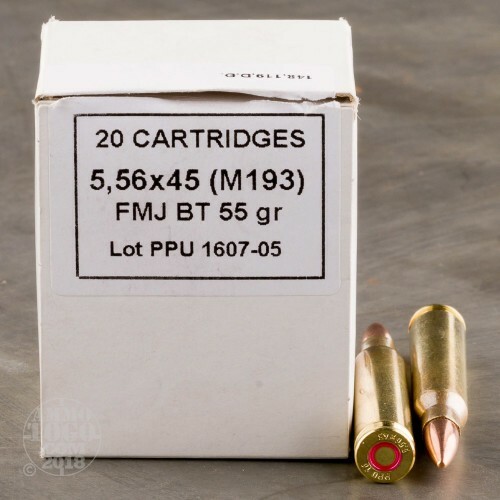 The bullet’s hard metal jacket assures positive functioning in a semi-automatic firearm, be it an M16A1 or AR-15, and further prevents rapid bore fouling and facilitates penetration upon impact. 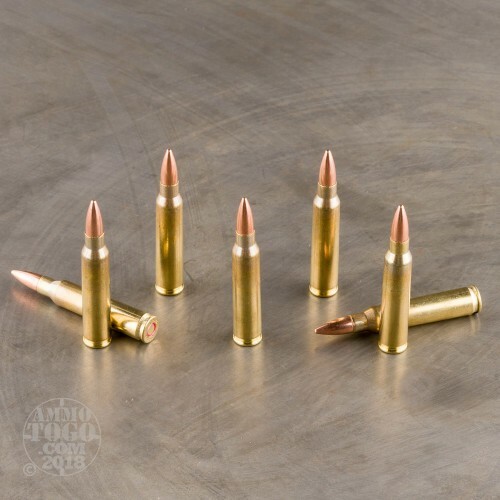 This bullet sports a boat tail design, and its tapered base dramatically improves its ballistic coefficient. Its resulting abilities to resist the influence of cross winds, maintain a flat trajectory, and preserve its velocity downrange all work together to grant it superior accuracy. A Prvi Partizan product’s characteristic high quality is apparent throughout this cartridge’s other components. 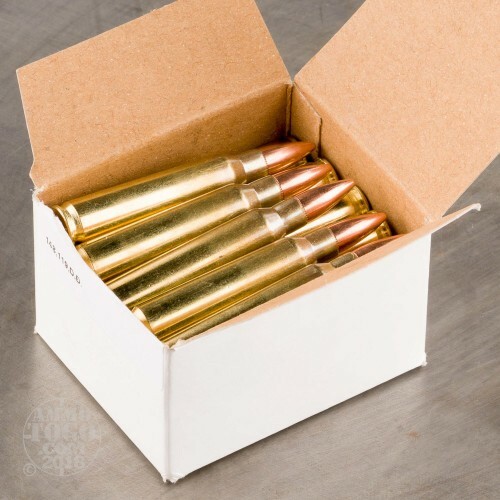 The Serbian manufacturer’s new production brass casing is ideal for handloading, and their non-corrosive primer and clean burning propellant will keep your firearm accurate and in good condition over the course of an extended session at the range.